Increasing unreliability causes particular dissatisfaction to the public. Professor Glaister will hail the £6bn investment in road capacity as a step in the right direction, but will voice concern about the wholesale development of hard-shoulder running, as a short-sighted substitute for widening or new route developments. ‘Hard shoulder running is a short-term measure rather than a proper alternative to widening or developing new routes to suit growing needs. Active traffic management has to be done diligently to meet safety requirements, which has significant cost implications. When this is taken into account, hard shoulder running has little advantage over road widening, particularly where improvements to junction capacity are concerned’. 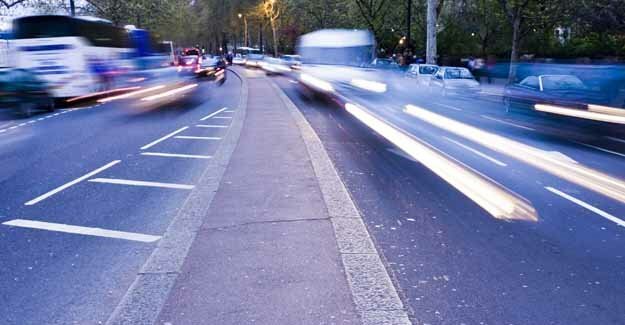 **** DfT (2008) Roads – Delivering choice and reliability. ****** DfT (2008) Roads – Delivering choice and reliability and DfT (2009) Britain’s Transport Infrastructure Motorways and Major Trunk Roads.